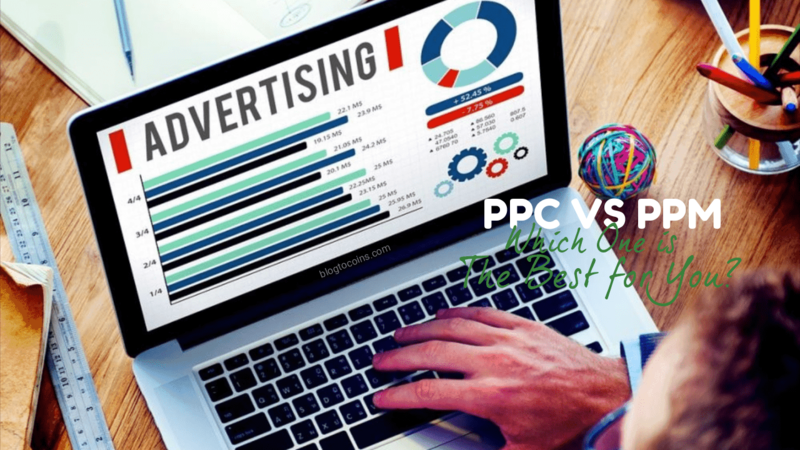 When it comes to online advertising, there are two options for marketers; PPM or PPC. Both methods of advertising are quick ways to get your message to thousands of people immediately. The internet has become pretty rowdy, therefore, standing out has become a daunting task today. This article will look at both variants of online advertising methods highlighting the factors involved in both methods. I will ensure to do this in the simplest of terms, cheers! The first question in the mind of an amateur advertiser is whether he/she should use pay-per-click (PPC) advertising or pay-per-impression (PPM). When you use pay-per-click, the pays only when there is a click on the marketing message. This means that in PPC, the person on the other end shows interest in the product or service being sold or offered. On the other hand, you can advertise with PPM where the advertiser pays for a certain number of impressions. What this means is that the marketing message is displayed for an agreed number of times on the advertising platform. It is not so easy to point to one method as being better than the other because that depends on your business and what industry you are in. Most people assume that pay-per-click is better simply because it is more predictable. PPC is really easy to understand, you have a link that brings guests to your webpage and this link is made into an ad. This ad appears on websites likes Facebook, Google, blogs and the likes where it is shown to the potential clicker (let’s call him Mr. A). When Mr. A clicks on your ad link and visits your site, you are charged at a particular rate. PPC advertising has been known to play an important role in the growth of small businesses all over the globe. The internet has made it easy for companies to compete with other similar companies all over the world for the attention of potential customers. Today, customers resort to online checks to find products and services around them. The increase in the use of smartphones and other similar gadgets has made it easy for people to stay connected on the go. If you are looking to begin paid advertising then it is best that you start with PPC. PPC is also often preferred because it does not reward spammers as it has very aggressive filters. These filters make certain that there are real and legitimate people clicking the ads. Another reason why you might choose PPC is due to the fact that it rewards advertisers with good landing pages. When you use PPC, you would be forced to make sure that you have a landing page that is worth the money spent on each ad. This is the case when an advertiser pays for a particular number of impressions (number of times that their ad appears on another website). PPM advertising is done by the thousands and this is evident in the name given to it. PPM originally stands for Pay-per-Mille (a Latin word that means “thousand”). Unlike PPC, PPM only registers the number of times that the ad is viewed and not necessarily when it is clicked. This is the major difference between both kinds of advertisements. In PPM, you get to spend a particular amount on your ads and you do not have to second guess. Depending on how much you pay, you are entitled to a number of views. The downside to this is the fact that views do not necessarily translate to sales or interest. PPM is simply like a billboard for your ad; it shows it to the world and charges you for it. It is important that you understand your business properly before deciding to go for PPM advertising. Depending on how much your business is willing to part with for ads; your ads will appear on certain websites over a period of time. Advocates of PPM prefer it to PPC because it is argued that it gives your business a wider reach than Pay-Per-click ads. Cost- in terms of cost, PPC is more expensive than PPM. The reason for this is pretty obvious; clicks are more valuable than potential clicks. Therefore, the cost can be a determining factor that helps you decide whether your business will use PPM or PPC. Objective– Another factor to consider when choosing the method of online advertising is the objective of the ad. There are ads that are meant to raise awareness and thee kinds of ads can be done with PPM. On the other hand, if you are looking to get traffic or generate sales then you should opt for PPC. The familiarity with the Brand- Brands like Coke or Pepsi can thrive with PPM ads because they are brands that people are familiar with. Small brands that are not prominent or household names will run at a loss if they decide to do the same. Therefore, the popularity of your brand is also a huge factor. PPM is better for businesses that have compelling ads because in such cases, the number of people that will click will be high. PPC is the better option for businesses that have an ad campaign that focuses on conversion. PPC is the better option for small or emerging businesses. By using PPC you are only paying for the people that click on your ad. PPM is the better option for businesses who do not necessarily need clicks and companies that run ads for the sake of awareness. In the end, it is up to the company to decide the kind of online marketing scope that it will use.